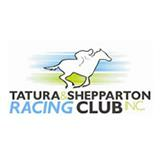 Last start winner Collis will compete at Tatura on Tuesday, November 20 when competing in an F&M BM 58 handicap over 1450m with Teodore Nugent booked to ride jumping from barrier nine with a field of 11 to run on the country TAB race card, currently racing on a good 4. Collis is a four-year-old brown or black mare by Skilled out of Twinciti and was a recent Wodonga 1400m maiden winner under Teodore Nugent, scoring on that occasion by 0.75 lengths in a time of 1:29.05. Having second run back today. Fresh up after four months won by 3/4 len Wodonga 3yo+ F&M Mdn Oct 20 over 1400m defeating Circulate carrying 56kg. Previously second-up 3rd of 9 starters at Wodonga 3yo F Mdn in Jun over 1200m, on a wet track; 1/2 len behind Georgia's Host carrying 57kg. Good win fresh and aided by the claim here.